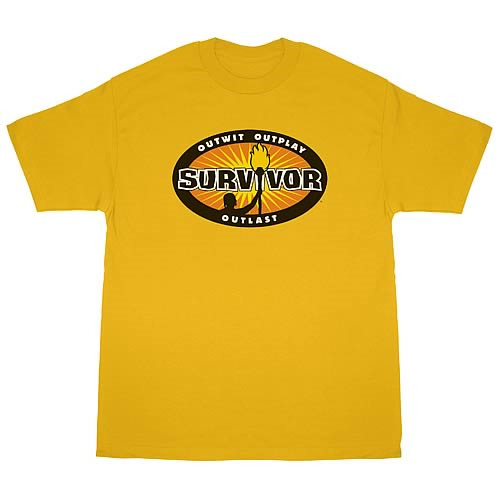 Survivor Gold Burst T-Shirt. Outwit, outplay and outlast everyone with this 100% cotton, high-quality, pre-shrunk gold t-shirt. Machine washable. Order yours today! Shirt says: "Outwit. Outplay. Outlast."